Finance Minister Michael Noonan says he is considering writing down some subordinated liabilities by up to 100 per cent. FINANCE MINISTER MICHAEL Noonan may enforce losses of up to 100 per cent on Bank of Ireland’s junior bondholders. In a statement issued this morning, Noonan said he is “considering the possibility of applying for a Subordinated Liabilities Order (SLO)” to generate cash for Bank of Ireland. Such an order would effectively burn the holders of the subordinated debt and wipe out the remainder of the bank’s recapitalisation bill. Noonan said the SLO could write down each of the junior bonds by up to 100 per cent, raising up to €350 million and ensuring the bank would meet its capital requirements. The aggressive move, if undertaken, would aim to raise the core tier 1 capital for the bank ahead of the deadline on 31 December. As a result of the 31 March stress tests, the bank was required to raise €4.2 billion in capital before this date. Since then, BoI has generated €3.85 billion through a variety of methods, including State aid, private capital and liability management exercises. The Minister said that he is considering using the powers available under the Credit Institutions (Stabilisation) Act 2010, which allows for the order, because the bank has already received “substantial financial support” from the State. However, he added that no decision has been made on the matter and a consultation process with the Central Bank is now underway. Submissions from interested parties are being gathered by the Department of Finance. 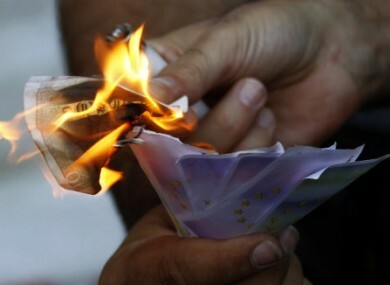 Email “Noonan mulls burning Bank of Ireland's junior bondholders”. Feedback on “Noonan mulls burning Bank of Ireland's junior bondholders”.